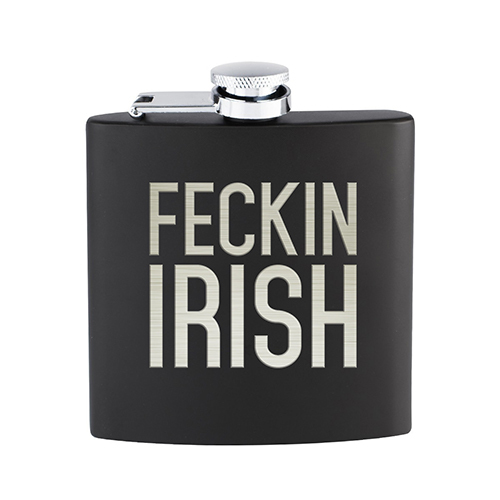 Give this Feckin' Irish Flask as a gift or get it for your own collection! Are you Irish, or do you just have the luck of the Irish? Either way, you'll want to shake your shamrocks when you take a sip from this "Freckin' Irish" flask. This flask makes a great gift idea for anyone who collects Irish or Celtic keepsakes. An true Irishman is no stranger to a good time, and this Freckin Irish flask will be a hit at any event or party - especially St Paddy's Day!